A single platform to increase sales, manage day-to-day operations and effectively engage with consumers in a simple, coherent and affordable manner.  SmartD platform helps restaurant owners to increase sales, manage day-to-day operations and effectively engage with customers in a simple and affordable manner. We have a good crowd from the IT companies nearby, so business is good. It wasn’t until we got into SmartD that we realized there was a lot more untapped consumer base. Now that we are online, we have a lot more consumers aware of our food and our services. This has doubled our sales as well. The biggest plus is that SmartD is easy for my staff to adapt to and use every day. Our branch on the Ascendas food court deals with a huge crowd during breakfast, lunch and dinner hours. Our bills only show us that we made a sale. But SmartD tracks all orders under respective categories of dine-ins and pickups. We now have the information of the kinds of sales we make, how many items are left and which dish was a crowd pleaser. Now we know our customer preferences and plan accordingly. One of my Food Courts has around 6 counters with around 4500 daily walk-ins. It is a great challenge to handle all of them at once. SmartD Business managed the piling queue with robust and faster billing every day. It is easy to monitor sales live, gather feedback and resolve any arising dispute instantly. The analysis of patterns of my customer food preferences and spendings are amazing. I would recommend it to anyone, no doubts. I find it very easy and convenient to use. I can operate all its features and pages without being confused and the reports are made to be crystal clear to anyone. SmartD வேலைக்கு தேவையானதாகவும் use செய்ய easy-யாகவும் இருக்கிறது. அதன் அனைத்து features மற்றும் screens குழப்பம் இல்லாமல் பயன்படுத்தலாம். அதன் report-கள் எல்லாமே தெளிவாகவும் படிக்க எளிதாகவும் இருக்கிறது. Restaurant solutions that are perfect for you! Don't forget to follow us via our social media profiles and to keep up with our latest news.